There’s lots planned for 2011 so watch this space… and thank you to everyone who ordered lots of goodies over Christmas. 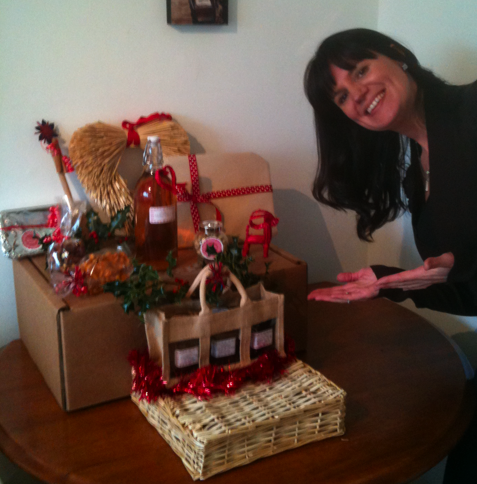 We hope all of your friends/family/colleagues liked their Christmas hampers! We had such a good day at Greenwich market – it was great to see so many kids in fancy dress enjoying out spider cakes and scary biscuits! Thanks to everyone who came down to support us, and we’ll look forward to receiving your Christmas orders soon! We’ve had great fun coming up with new products to fill our Christmas hampers with. We’re even making our own decorations 🙂 They’re a great idea for family, friends ( your partners parents!) and colleagues or clients at Christmas. Prices start from just £25. 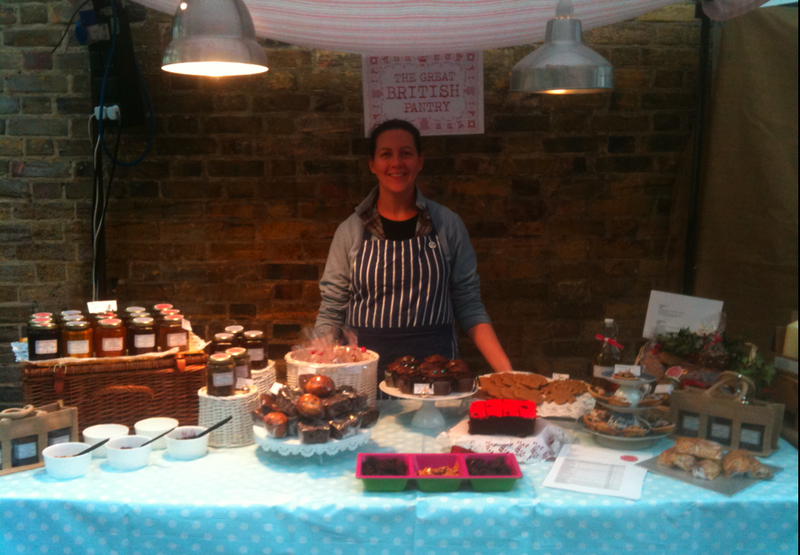 Lets hope they go down well this Friday at Greenwich market, where we’ll be giving them their first trial! A great day at the market after a long break due to holidays and moving house! Jane is now relocated to Greenwich, nice and near the market. Busy in Greenwich with lots of tourists and workers buying lunch. Our new Blackberry & Apple Jam went down a storm as did the sausage rolls with chilli jam and scotch eggs. Lots of planning over the summer about new products. 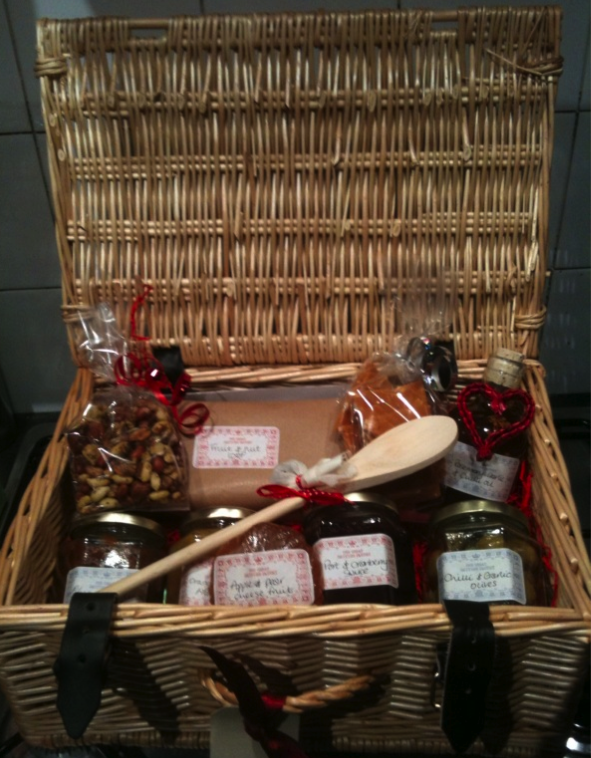 Our hampers will soon be available to order, featuring a range of products alongside seasonal goodies……. We had a great day at the market on Friday. Our new orange marmalade went down VERY well, and our best customer ‘Hilary’ came back to buy not four.. not six… but NINE brownies!! 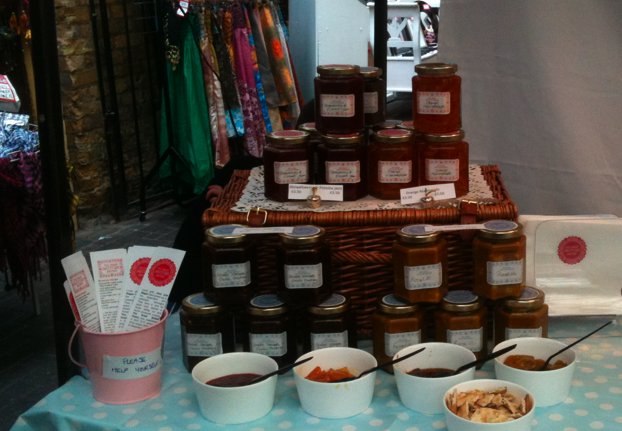 We were also approached by a retailer who’s interested in stocking and selling our jams and chutneys. Very exciting indeed, and we’ll keep you posted!